Heads-up to all synth lovers. 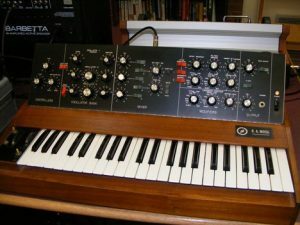 Today, June 21st, 2012, Arturia are giving a way a free VST version of their MiniMoog soft synth. You can get it via their Facebook page or from the Arturia web site. The offer is only valid today, so procrastination is not allowed! You just have to register, and wait for a download link in your email. Be patient – this is a hugely popular giveaway, and I’m sure the Arturia servers are going to be very busy. Bob Moog is hugely important in the history of synthesizers, and you should definitely include a lesson about him if you teach Music Technology. This VST plug-in would enable you to demonstrate the Moog synth for your classes without having to hunt down and buy the original physical instrument. Also, consider using the recent documentary movie about Bob Moog by Hans Fjellestad, and check out mustech.net’s teachers’ unit on Electronic Music History.